Greetings all you kind generous folk of the interwebs!! I've been banging on about this one for a while now, but I'm looking for a final push. Hero for a Day is less than a month away now (20th August) and I still have tickets available for spaces on the day. 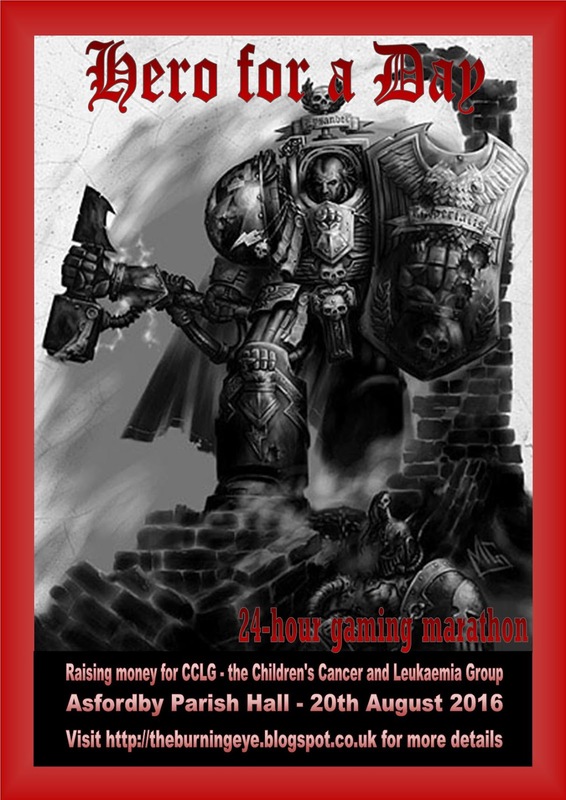 The event is to raise money for the Childrens Cancer and Leukaemia Group and will comprise two teams of players coming together to battle across 8 games in 24 hours. The games include single player games, doubles matches, kill team and two handicap matches, where a single player will take on two players from the opposing team. 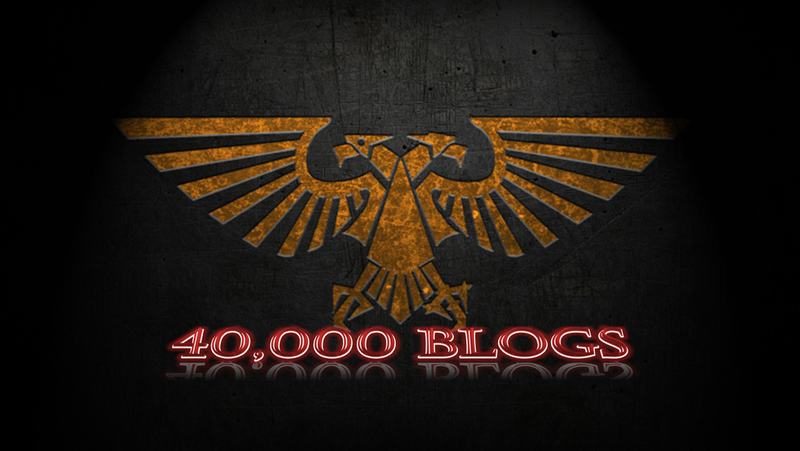 Greetings all - last week I introduced you to a new series on the blog - the Horus Heresy tale of gamers. As I set out in that post, this is going to be a fairly relaxed tale of gamers in terms of the timings given the costs involved for those of us taking part. Having introduced my own collection, I've asked the other guys involved to respond to a series of questions about their plans, so here's the first - Ryan and his Alpha Legion. Hobby update 18-7-16 - Dusk Knight recruiting continues! welcome once more to the hallowed halls of my project desk (it's a metaphorical desk by the way, kids have ensured I have no actual hobby table). What have I been working on this week? Last week I promised you I'd make progress on the Knight's legs so that I could look at mounting him to a base. Well they're not exactly finished yet, but they are much closer than they were at least! It's coming! 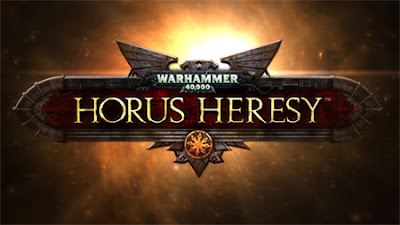 That's right, my gaming group has decided to take the plunge into gaming the the Horus Heresy era, and as a result we've decided to record that for posterity via the medium of my blog. Now, this isn't your typical Tale of Gamers series if you're familiar with them. The setting lends itself more towards team play, so rather than every player playing everyone else at increasing points levels we'll be looking at doing fun scenarios and multiplayer games, and focusing on the building and painting side of things just as much as the gaming. Hero for a day - more players wanted! the blog is likely to get a little quiet in the near future as I prepare for this event, probably limiting itself to hobby updates and event updates for a while. However, Hero for a Day is approaching at a rapid pace, and I'm getting very excited about the event. I've got 10 tickets sold already, so just another 10 places are available. So far the online donations stand at £135, so I'd love to be able to get that higher before the actual day, so if you can't make the day, please head over to my donations page here. The raffle for the even is really starting to look impressive too, with prizes including a Knight Cerastus, Chaplain Grimaldus, a personalised MAD Wargaming hoodie, and Deathwatch: Overkill (amongst other things). So what are you waiting for - register your interest on the event forum http://heroforaday.proboards.com - tickets are just £10 and include 2 hot breakfast rolls each and a choice of evening meal, plus a few extra goodies I'm picking up along the way. If you'd like to know more about the event without registering on the forum, please just email me using the blog address at the top of the page. Please feel free to circulate this as wide as you can, and help to make the day a success! Greetings all - welcome once more to another glimpse into the depths of my hobby workings - this week will be a fairly short update, as is often the case when I get stuck into working on a single project that requires more effort! I'll be teasing you a little more too with my next project! June review - Lots of blue painting was done! Greetings all, and welcome to my June review - halfway through the year already, I'd better make this a good one! paint 500pts of The Bromheads. Ok so I have now decided to delete this from my list. Partly due to funding issues but mainly due to the insertion of a new project. Consequently this will be 'paint 500pts of my Horus Heresy Legion' from now on. I have a few models already earmarked for this, with more to come fairly soon I hope. place in the top half of two tournaments. No tournaments this month. Organise Hero for a Day - this is coming along nicely, and only now 44 days away. 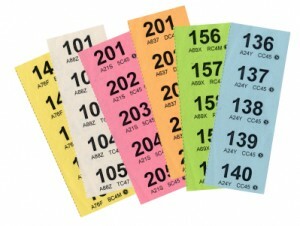 I'll be looking to announce the sale of raffle tickets for the prizes next week, so keep an eye out for that one - some of the prizes are incredibly generous! 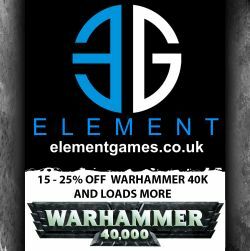 Build/paint 300pts of marines per month. Way over the target this month, as I finished Captain Alvaro, the thunderfire cannon, Epistolary Guiomar and the second half of combat squad Primus. In total I reckon that I got about 465pts done. This will change slightly next month as I will be counting the Knight towards this total (he's meant to run alongside my marines anyway). Win rates - I only played 3 games this month thanks to the EU referendum and a big night of Magic The Gathering last week, but still picked up 2 wins, so 67% win rate, all with the Iron Fists. I lost the 1v1 I played against Ryan this month. Gonna have to work hard in the second half of the year! 5000 blog views per month. Smashed this one again, 8763 this time. It's a little bit down on May's record breaking month, but given the massive viewing figures some of those posts picked up I'm still hugely pleased with the result. Thank you all again! 1 unit review per week. Urgh, miles behind now, all I can do is promise to try much harder once Hero for a Day is finished! I think the biggest achievement I managed last month was for one of my weekly hobby updates to break 1,000 views. That's really big for me, the blog was mainly started to keep a record of my hobby progress, so for the weekly posts to reach these figures was really flattering. In fact the hobby updates I posted last month accounted for over 3,500 views! Adsense slowed down a little this month, bringing in £3.29. Sadly that means I have to wait another month before I can ding the bell to signal I'm halfway towards getting paid, but July has started pretty well so keep it up! After having committed last month to giving you lovely people the choice of what I spend the money on, I can pretty confidently say that some, or all, of those options will be Forgeworld models for my Horus Heresy project! I'd like to think that the models I'm producing now are the best I've ever painted. I think that's born out by the results you're seeing, and today I finally bottomed out my plan for detailing accumulated dirt and grime on the larger models like the drop pod and knight. It was a highly complex process that involves basically applying all the different shades of brown in my collection, then tying them together with a wash, but you'll be able to see the results next week! I've done a little bit here, but mainly it's just the buildings from the Knight Renegade set. I'm hoping that next month I'll be able to crack on and get more done, including some honour guard/vanguard veterans, some cataphractii terminators and some heresy marines - watch this space! As you saw earlier, I've not played as much as usual this last month, but with two wins and a loss I'm pretty pleased with the results. Having tweaked my Iron Fists list following the tournament I played in, I'm throwing them up against the Adeptus Mechanicus tonight - we shall see how they fare! Greetings all - well yesterday I promised you an update, and here it is! I'm going to try and keep this as brief as possible, but if you have any questions, please leave a comment at the bottom of the post and I'll respond and if necessary edit the post. There will be two games played of each of the following game types throughout the day, so 8 games in total. You don't have to keep the same list for each of the game types if you don't want to, but of course it will make list writing simpler. I don't plan on limiting army selection too much here, instead each team has a captain and I would ask you to confirm your lists with them - they both know the sort of event I'm looking to hold and will ensure none of the armies are over the top filthy. That being said, I am imposing the following limitations, which I believe will help to limit some of the worst cheese offenders. Superheavies/Gargantuan creatures - These are limited to a maximum of 1 per army (including a maximum of 1 per doubles team). See also the following point regarding forgeworld. Forgeworld - These are limited to 1 FW unit per army. You may not include a forgeworld unit if you are taking a superheavy/gargantuan and vice versa. Allies - Each player's army must be formed from a single faction with one exception - codices without a superheavy/garganutan choice within them may take an oathsworn/forsworn detachment at their normal level of alliance to the primary detachment. This detachment can only contain a single knight as per the restriction above. Doubles armies may contain two different factions but each player in the team must have an army that complies with the above restrictions. Friday 19th August 11pm - registration opens - this gives us an hour to get everyone ready, registered and assigned to their tables. I appreciate this is a little longer than would normally be the case, however given the team nature of the event I think it's necessary to allow the captains to meet their teams in person if they don't already know everyone and get organised. That's all for now - I'll add more to this post as I think of things (please let me know of any topics you want to see addressed)! after a bit of a quiet week on the blog last week, I'm expecting a bit of an explosion in productivity this week. You've got all these posts to look forward to!